When you encounter major expenditures with your HVAC equipment, it might be time to consider financing options. Often expenses related to your HVAC equipment are not anticipated. Financing options can help you best manage those unexpected costs. They can allow zero out-of-pocket initial expense so you can better manage budgeting. 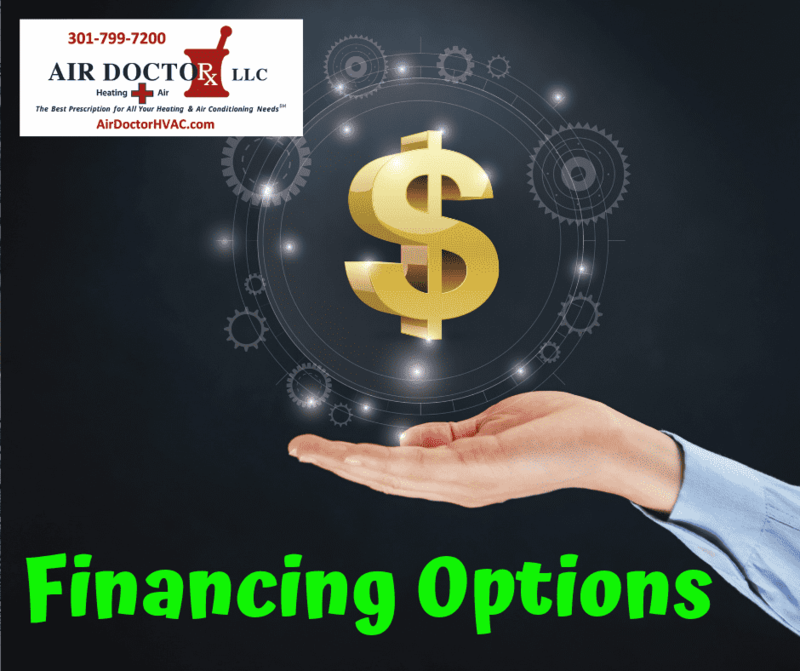 We at Air Doctor Heating and Air are pleased to announce that we now have more financing options than ever for your HVAC installations and repairs. From short term to long term and an option for 0% interest, you can now finance any of your heating and air expenses. These financing options are available to qualified applicants. There are many available options you can choose from. Air Doctor Heating and Air has two third party finance companies to select from. These companies specialize in the home improvement industry. Applying online is safe and secure and all data you share with them is private, protected and not shared with your service provider. Any arrangements you make with any lender is between you and the lender. Air Doctor Heating and Air is not a party to nor responsible for these arrangements. Redbrick only finances new installations and offer terms from five to ten years. Synchrony will finance both new installations as well as repair work. There are four financing options available and include options for short term, long term and 0% interest. Air Doctor Heating and Air recommends you research each lender and know the terms before deciding if one of these options is the best choice for you.